Five generations of Swanbourne Fremantles have a Lord Cottesloe. 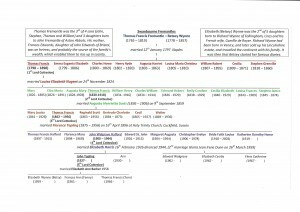 They are indicated within the family tree below, and startind with Thomas Francis Fremantle, the son of the Napoleonic War hero of the same name. He was born in 1798 and died in 1890. In fact there were three successive Lords with exactly the same name. 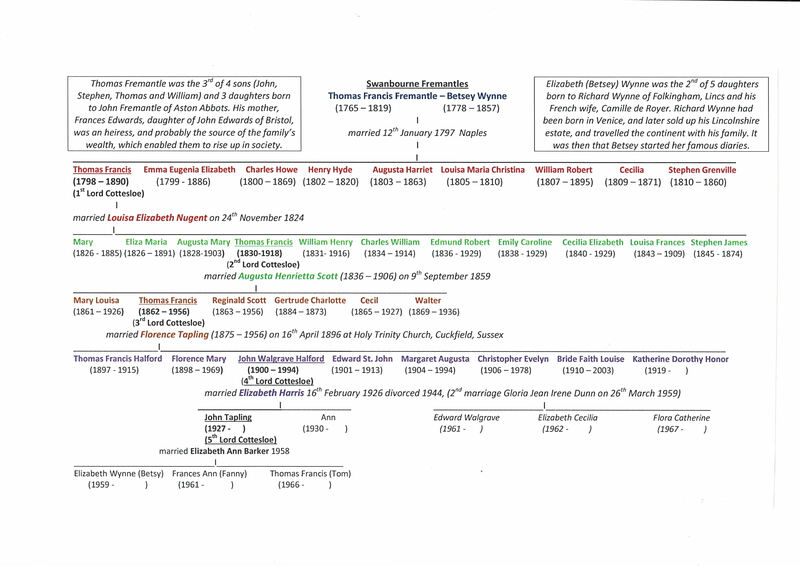 The Fremantle Family Tree. Click on the tree to enlarge. CLICK HERE to link to the Fremantle family. CLICK HERE to link to the Fremantle politicians. CLICK HERE to link to the Fremantle Admirals.